Coaching - Queensland Tennis Centre - Play Tennis, Court Hire, Coaching, Fixtures - Brisbane, QLD. Private coaching sessions can be arranged at a time that suits you, or for a more social option, we have group coaching available for adults and children. With classes catering for all levels of experience from beginners to squad and tournament players, group coaching provides a perfect opportunity to develop your skills whilst getting to know fellow tennis enthusiasts. For those looking for an exhilarating fitness experience, you’ll love Cardio Tennis – the fun and social way to boost your fitness levels whilst improving your tennis skills. Join a group of like-minded players and enjoy a routine alternating with intense cardio workouts, short periods of rest and testing tennis drills. 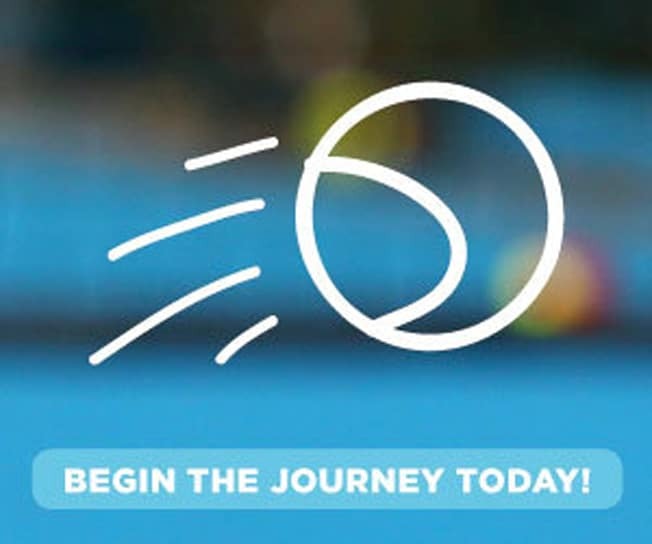 Watch your child progress from an absolute beginner in the Hot Shots Blue to a tennis champion working their way through to our Performance Academy program, without ever having to leave the Centre; our classes have every coaching level you need to ensure your child reaches their absolute potential.